On Monday evening I lowered our flag for that reason but raised it again on Tuesday morning when the wind had died down. On Monday morning I went for a walk whilst the wind was less strong but the day had an eerie feel to it. The sun had made an attempt to break through the clouds earlier but the clouds won. The sky turned an orange-red colour as did the sun. It looked more like a sunset or sunrise rather than the late morning it was and although the wind was blowing it was surprisingly warm at twenty-one degrees. 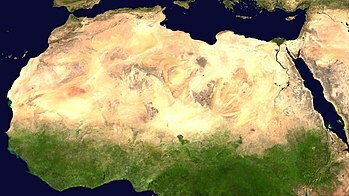 It was reported that the colour was due to sand being whipped-up in The Sahara and being carried northward over the UK. The winds had been blowing from the south for many days by then. By the time I had returned home the sky had turned completely blue with no clouds at all! I even sat out on the patio for a time in the full sunshine. An hour or so later and it was cloudy and the winds began to strengthen, no more sitting outside. The worst of the weather came overnight but by Tuesday morning it was much better though the wind remained with us throughout the day. I am talking about twenty mph winds here and not the seventy-something mph winds we had during the night. The day turned out bright and sunny and I was able to do some work in the garden and later in the afternoon I went for another walk down to the beach popping into my local pub for a drink on my way back home.